So, I've had this guitar a while, almost a year now, and never been quite happy with it. Until last Friday. Yes, the guitar is beautiful, but I made her my number 1 player besides my Les Paul. And soon, the Les Paul will get similar treatment. So, most of these upgrades were cosmetic. New CreamTone Les Paul TRC, Double-ring Single-line Klusons, CreamTone Wide-bevel pickguard and vintage styled 5 ply tenon cover, amber switch tip, and CreamTone Reflectors and thumb bleeders. But, funtionally, there are two very important upgrades; I blocked the sideways vibrola off (yes! ), and replaced the Nashville bridge with CreamTone's new ABR-1 conversion kit. It replaces the Nashville bushings with a Stud that goes directly into the wood like a factory installed ABR-1. It was actually pretty easy to install with all the stuff Lonnie included, and it took me half an hour. First, you pull the bushings, then you tap the holes for the bridge, after you screw in the studs, and then you put two sets of thumbwheels on, and once you put the bridge on, tighten the bottom thumbwheels to make the studs rock solid in the body. It increased the sustain quite a bit, plus, it looks badass. So, all in all, I'm quite happy with the upgrades, and it makes the guitar stay in tune a whole lot better and sustain more. zhivago, cerebral gasket, pancake81 and 3 others like this. Logan and cerebral gasket like this. 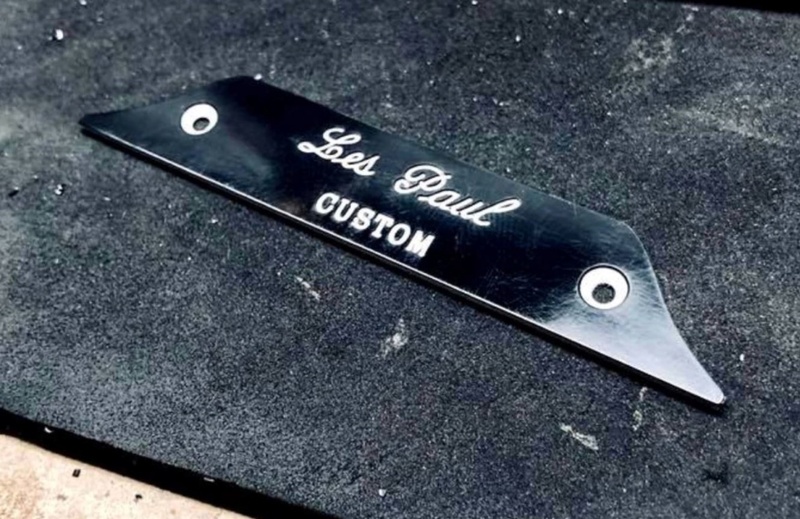 Yes, it is not a Custom Shop. The '61 SG was a Les Paul. I'm going for that vibe. It is a 2015 SGS3, which means Solid Guitar, Standard, 3 pickups. It isn't a custom, so I didn't get that tenon cover. I thought you were banned? Sp8ctre and cerebral gasket like this. Do what you want with your SG, anyway nice SG3 you got. The LPC tenon cover should look nice on a SG3 imho. Very nice additions Logan, looks great. I love the look of the sideways vibrola. Although not the best design, it’s so classic (and classy). I agree, block it off, make the guitar a player. And the creamtone touch’s really show. 2019, nope not me. The black beauty three pick up, although beautiful would be second pick over the 2013 61 Les Paul tribute. I love the classic cherry with chrome (or was it Nickle?). Also, I am one of those players that finds the middle pick up interfere with my playing style. Although I am sure I would adjust over time. papagayo and AngelDeVille like this. 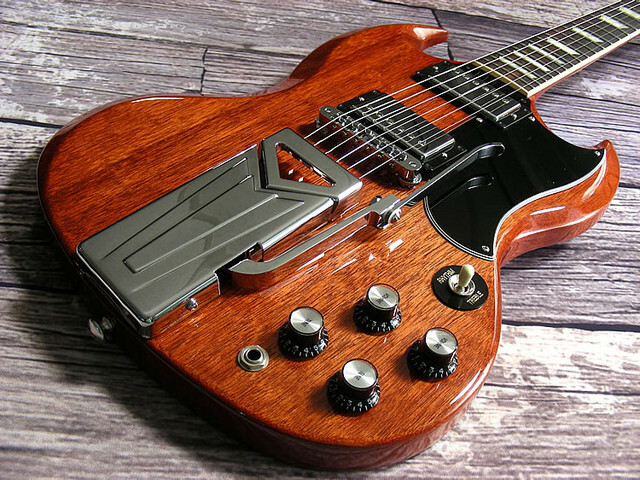 Yes, if said SG3 was a 1961-63 SG Custom. SG3 are available as Specials, Standards, Customs. SG3 = Solid Guitar with 3 pickups. "Custom" is an SG model. The SG Custom has a bound neck with large block fret inlays. The headstock is bound with split diamond inlays. An SG Custom can have either 2 or 3 pickups. "Standard" is an SG model. The SG Standard has a bound neck with trapezoid fret inlays. The headstock is unbound with crown inlay. An SG Standard can have either 2 or 3 pickups. The "Custom Shop" builds "SG Standards" and "SG Customs" as well as other models. The neck and headstock inlays or lack of is what differentiates the SG models from each other. 1961-63 SG Standards had "Les Paul" TRC with blank tenon cover. Logan and pancake81 like this. These are all true and factual. All that said, if it feels good, do it. So long as you not intending to misrepresent this instrument for financial gain etc, who cares. Have some with it. Yes, if said SG3 was an SG Custom. Logan, papagayo and cerebral gasket like this. @pancake81 I prefer the sideway vibrola with the cover but it is not mine. 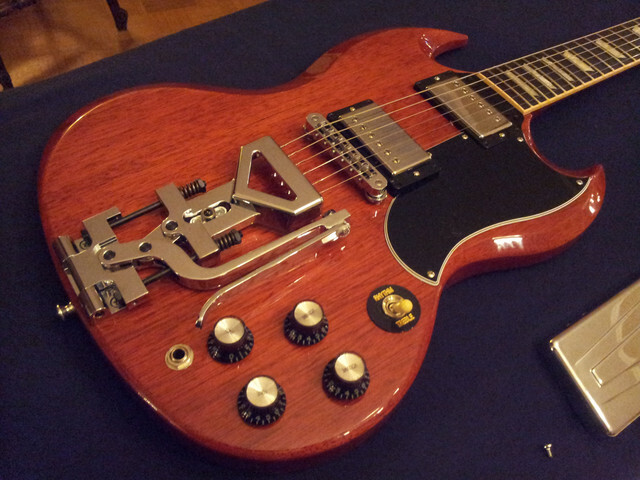 Cool upgrades are available for your SG. Contact Lonnie and he'll hook you up. Contact him directly through creamtone? Also, which did you order, the USA model, or the hostoric? that is a real beauty there. vnice.